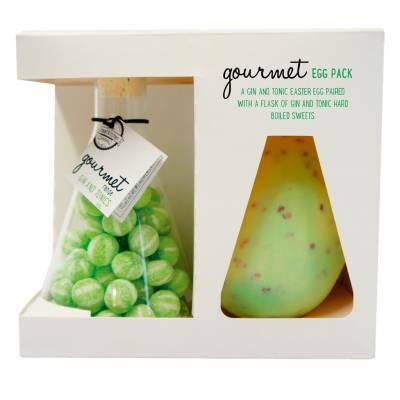 This month sees the arrival of delicious tasting chocolate eggs and luxury edible gifts. But Easter isn’t all about yummy eggs. There are unusual gifts too along with spring flowers and food and drink hampers packed with tempting treats for all to enjoy. 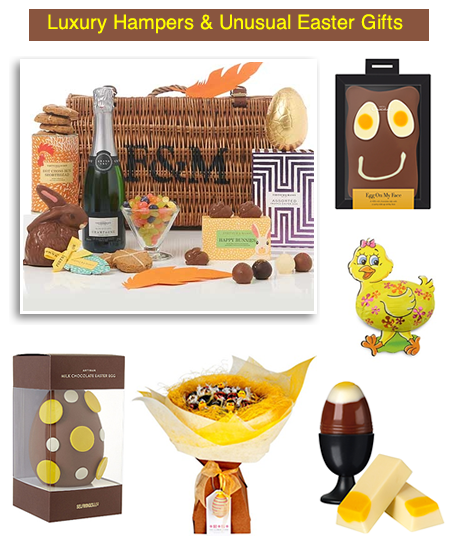 Indulgent Easter hampers from Fortnum & Mason such as the personalised celebration collection promises a first class feast. 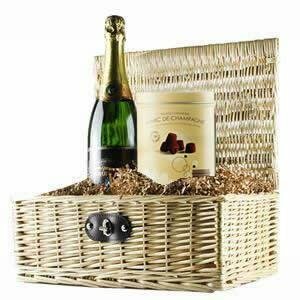 Contents include a divine sponge pudding, smooth and creamy amaretto butter, special spiced biscuits, and Pink Marc de Champagne truffle egg. Plus six goose chocolate eggs, 3 chocolate chickens nestled in a whimsical match box and a bottle of Blanc de Blanc Champagne. 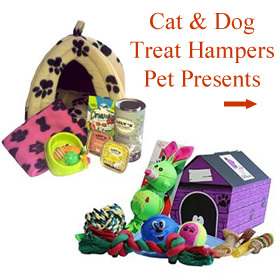 Easter gift giving needn’t be boring when you shop at Funky Hampers. 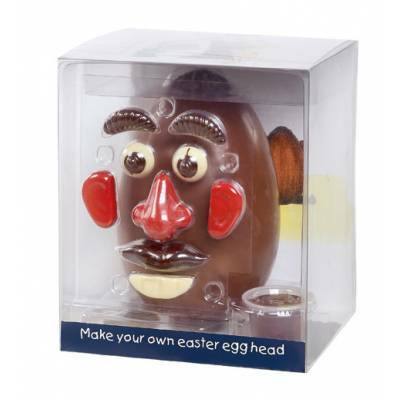 Here you can have fun choosing unusual Easter gifts for loved ones. The Easter Chocolate Bouquet is a unique idea containing milk, white and dark chocolate truffles. Perfectly hand crafted and arranged with colour co-ordinating presentation box. 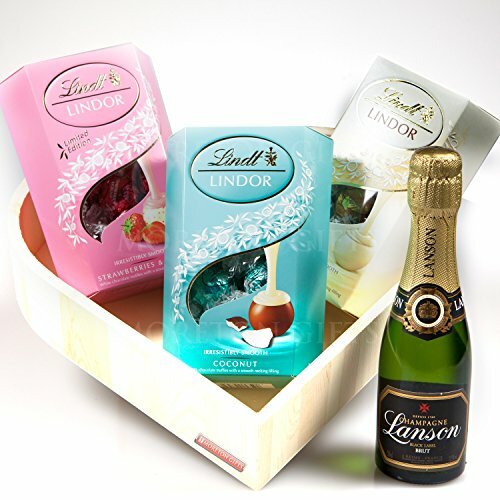 The free standing box holds two dozen long stemmed chocolate buds filled with the finest Lindt chocolate. 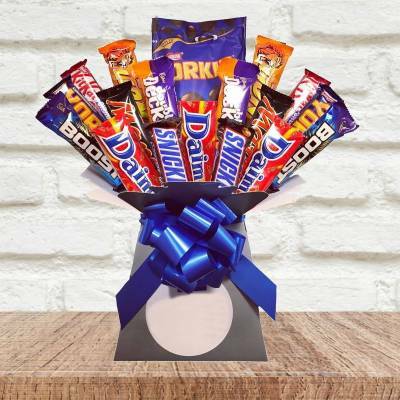 You can build your own Easter Hamper for a unique touch. Or simply pick out amusing gifts like the mini pizzas or an Easter Bunny in a tin. The I Love Eggs hamper is overflowing with 30 eggs including Cadbury cream eggs, Mars and Galaxy. Classic hampers for sharing is a must for all the family at Easter. 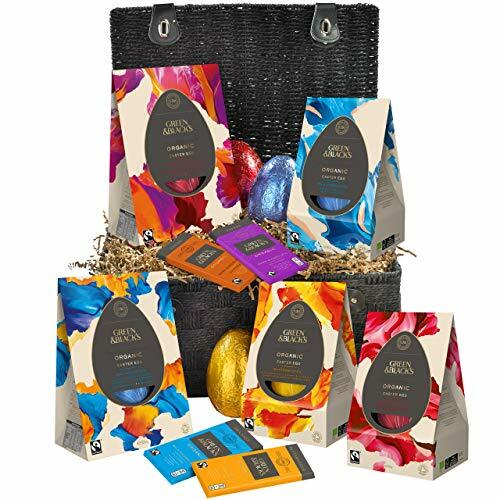 Discover wicker hampers filled with Fairtrade and organic chocolate eggs from Green & Blacks. 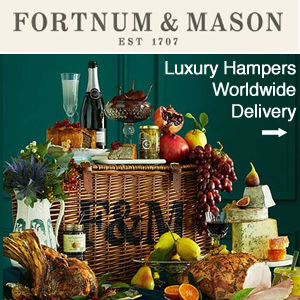 Open the basket to reveal a tantalising tasting collection for everyone. From the luxury to affordable favourites from Cadbury, there’s a fabulous mix for both adults and children. The Easter Sharing basket contains 5 mini bunnies, Egg Hunt pack, egg ‘n’ spoon double choc mousse and creme egg 5 pack box. There’s also a Dairy Milk egg, Cadbury mini eggs bag, Dairy Milk buttons Chick and Bassetts Jelly Bunnies. When it comes to Easter Egg Hunts, children’s parties and themes events look to the Chocolate Trading Co. It’s here you will find everything you need for a fun fllled day. Such as foiled wrapped milk chocolate bunny rabbits, ducklings, mixed coloured mini eggs and more. 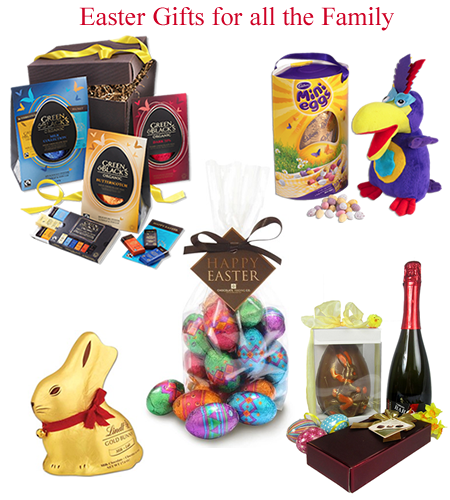 Novelty Easter gifts along with traditional and luxurious gifts makes it easy finding the perfect gift this Easter. 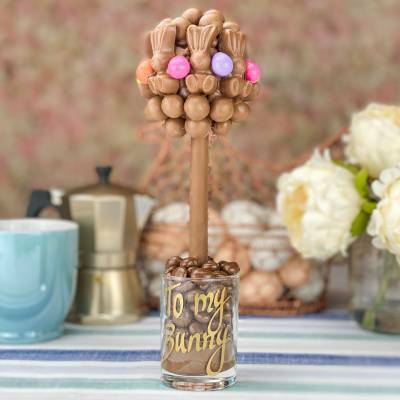 Make Easter festivities even more special with a thoughtful keepsake that’s a little different from traditional chocolate Eggs. Whether you’re staying with friends, family or at home with loved ones, there’s plenty of unique Easter gifts to be found. 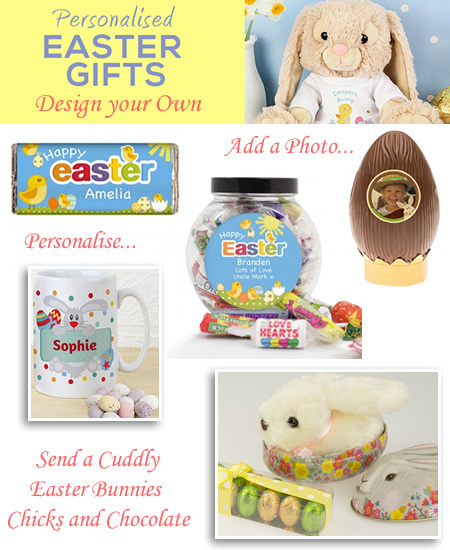 Luckily, Easter gifting is made easy at personalise.co.uk with their range of personalised presents and chocolate to keep everyone happy. Why not show your appreciation with a personalised thank you gift that will be remembered long after the event itself. Ideas such as Easter bunny egg cups, printed mugs, decorated candles and of course irresistible milk chocolate bars. 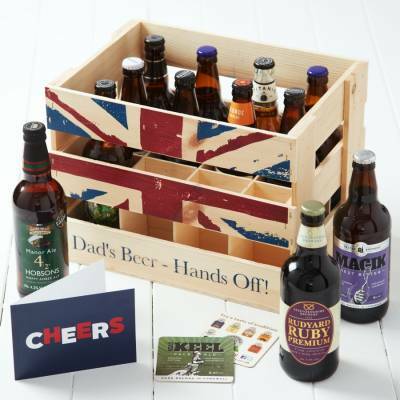 Once you have made your choice add a personal touch by customising each gift. Get creative at yoursurprise.co.uk with a design using your own photo that is printed on a T-shirt for the adorable bunny rabbit. Using the user-friendly photo editor just choose from a selection of frames then simply add a photo, logo or text. Afterwards view your results and adjust until you are happy with everything . Once complete the super soft and huggable bunny is ready to go to its new home. A great original gift for every child who will love the cute soft toy and T-shirt with photo and text printed on it. Satisfy a sweet tooth with chocolate bears, hearts, lollies, tins of sweets and Easter eggs all designed by you. 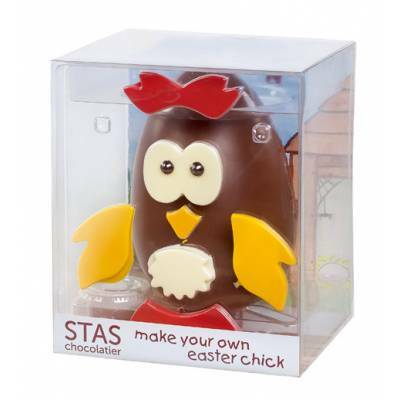 So create an appetising surprise with tasty and tempting Belgian white, milk and dark chocolate Easter gifts. Find Easter Presents under £20. 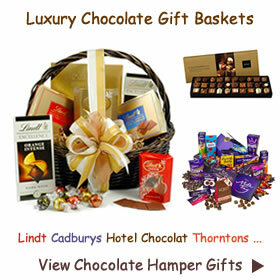 Chocolate Gifts under £30 and Luxury Hampers and Gifts under £50. Soft and loveable cuddly toys from sendacuddly.co.uk are perfect for any special occasion. So, why not make someone’s day and send a Happy Easter cuddly? Add a personal touch and write a message that is printed on a unique message medal. Each soft toy is presented in a beautifully windowed box and delivered to the lucky recipient. Soft toy animals ideal for Easter presents include Eggo the Easter chick, Peanut Bunny, Pretty Pink Rabbit, White Chic and Cream Easter Bunny in a tin. Best of all these huggable toys are ideal if you are arranging a Easter egg hunt. What better surprise than discovering a little soft toy along with the chocolate treats too. There’s plenty of fun to be found this Easter with sweet treats galore and mini chocolate Easter eggs ideal for the Easter egg hunt. 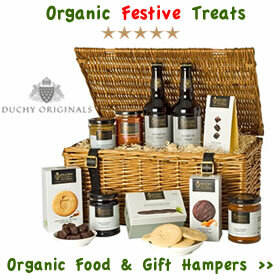 A fine selection of everyone’s favourite along with luxury chocolate selections, gifts and ready filled hampers. Large bags of mini chocolate eggs wrapped in colourfully patterned foils can be gift wrapped to give as presents or bought in bulk in readiness for the big Easter hunt that children just love. Send that someone special an indulgent combination from Green & Blacks organic range. The Easter Tasting collection includes a thick shelled chocolate egg, 24 miniature bars of milk, dark and white chocolate plus a delicious bottle of Bonterra organic Merlot wine. A wonderful present that comes with tasting notes and recipe ideas. Fairtrade chocolate gift sets and hampers are beautifully wrapped, displayed in a stylish gift box with hand tied ribbon and gift card. Experience the distinctive taste for your self and make someone else happy too with such a memorable present. 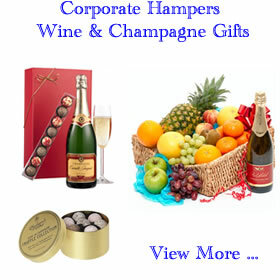 For the ultimate Easter gift perfect for a family to share why not create your own hamper. Knowing your family and friends taste means you get to give their best loved sweets and treats. 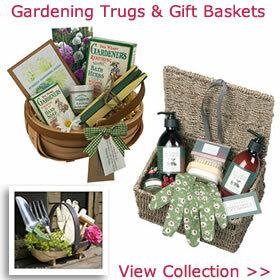 Find a suitable gift box, empty wicker basket or lidded hamper with packaging and have fun filling it to the brim. It can be anything from whole and mini Easter eggs to bars of chocolate, bottles of wine, soft bunny toys and more. Knowing who you are buying for makes it all the more personal. 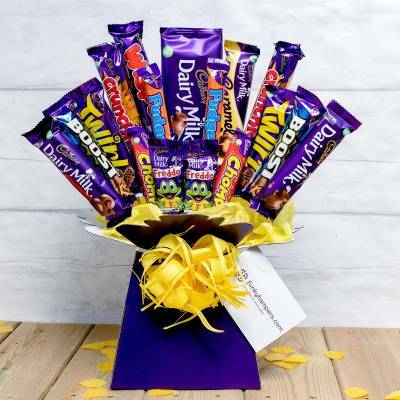 Make your own selection box from Cadbury or try an usual gift from Funky Hampers for an easy no fuss solution for gifting this Easter. Try something different this Easter with a delicious white chocolate heart and some bubbly. Virginia Hayward spring gifts include a variety of unique presents ideal for Easter. 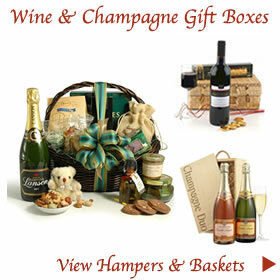 You’ll find traditional hampers, Fairtrade wine duos, whisky gifts and gift trays plus romantic gifts for loved ones. 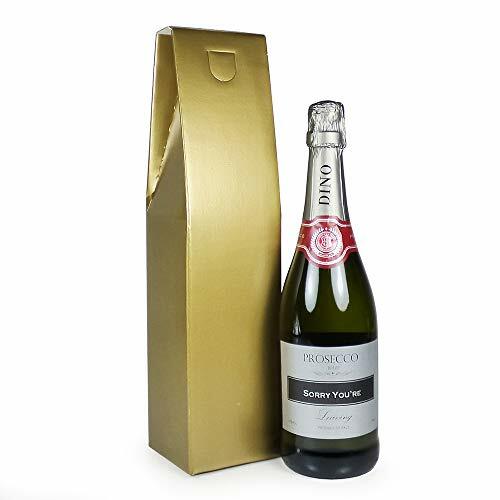 We love the Celebration Fizz that has the perfect combination of bubbles and melt-in your-mouth chocolate. 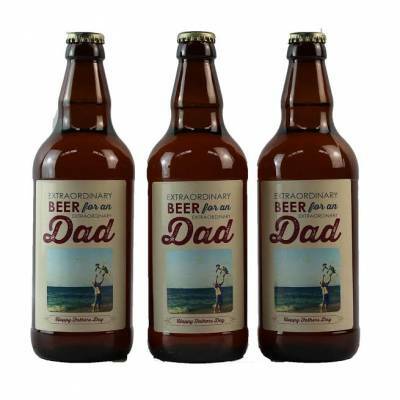 This makes a great gift for any celebratory occasion such as wedding anniversary or a loved ones birthday. Nothing quite conveys the feeling of love better than these two delectable treats. 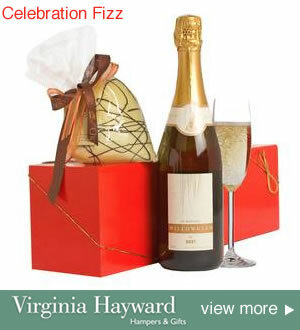 Heart shaped Choc-affair white chocolate paired with easy-drinking sparkling wine is a tantalising treat. Add that to beautiful presentation and you are in the winning lane when it comes to romance. The smart red gift box holds the luxury ribboned solid white hand-made chocolate along with the refreshing De Bortoli wine. The heady mix of exquisite fruit flavours burst from the bubbles of this fabulous sparkling wine. Combine with the a creamy palate and crisp clean finish makes this a great match to the yummy white chocolate this Easter.